42 female with painful bunion on Left foot. Patient opted for bunion surgery, and underwent an osteotomy procedure to correct the bone. 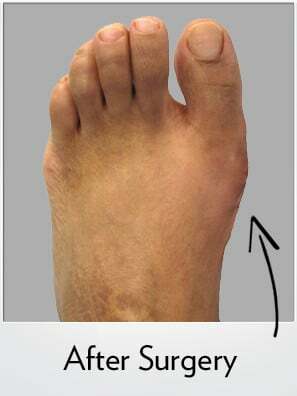 This particular patient required the cartilage of the big toe joint to be realigned in addition to the bunion correction. 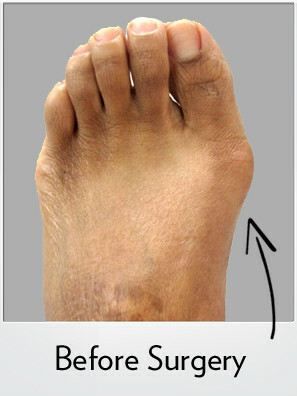 Nonetheless, the Bunionplasty® procedure demonstrates dramatic improvement with no visible scar from the top of the foot.